If you like nature and birdsong, over 100 native species have been seen and noted in the seven hectares of this beautiful community. Three and two bedroom independent living units with private patios and courtyards spill out to peaceful gardens, ensuring you have comfortable, cosy accommodation with everything in reach and the right balance of privacy and connection to the community. If you’re not creating something in the hobby shed, enjoying laps in the heated resort style pool or catching a movie in the cinema/media room at the clubhouse, you can venture to gorgeous Palmwoods village and catch a train further afield. There are even a number of caravan spaces for easy lock up and leave adventures. 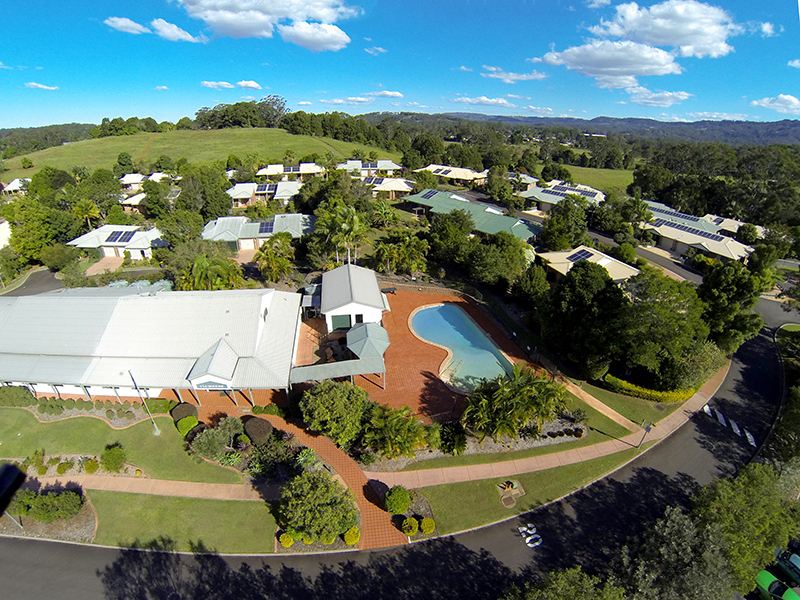 Sundale Palmwoods also has a Care Centre within the community offering ageing in place. When you’re truly connected to your community, the last thing you want is to move if your needs become greater. Sundale can provide additional care, meals and assistance in your residence as you need it. Places are also generally available in our Care Centre should you ever need it, to provide the right level of care for your needs so you can stay in your community, either for respite or longer term care.